I’ve discovered something beautiful about fermented foods. Not only are they a great source of nutrients and probiotics, but they are often multi-purpose foods that you can use in a number of different ways. Chances are, if you get in the habit of making yogurt yourself (here’s our tutorial), you might end up with a lot more yogurt than you’re used to. And while you can certainly eat it all by itself (or topped with some berries and homemade granola – yum! 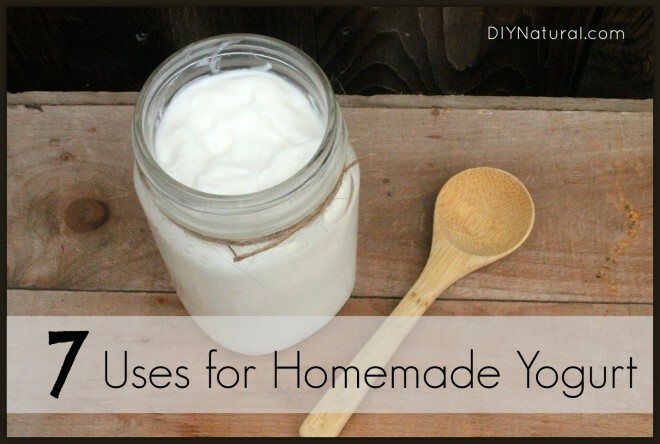 ), there are other ways to use yogurt that you might want to try out. In our house, the number one way to eat plain yogurt is with a dab of strawberry jam and a drop of lemon essential oil mixed in. Next, though, is in smoothies. As the mom of four small children, it’s sometimes challenging to get all the fresh fruits and veggies and fermented dairy into my kids’ diet that they need (they prefer some combination of bread and cheese) without some complaining. So I rely on smoothies to feed them all these goodies in one fell swoop. I don’t even sweeten the plain yogurt for this and will put between ½ – 1 cup of yogurt in a smoothie, depending on how much other stuff I’m trying to cram in our blender. Yogurt is a great dip to serve all by itself with things like sliced apples or hard pretzels. 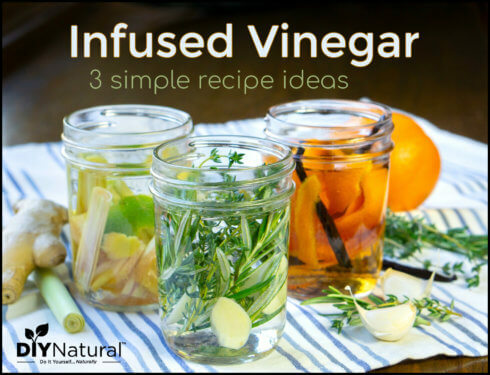 To do this, I mix ½ teaspoon vanilla extract (here’s our tutorial) and 2 tablespoons raw honey or evaporated cane juice in 1 cup of yogurt. You can also use yogurt as a substitute in dip recipes that call for sour cream or even mayonnaise (use equal amounts yogurt for whichever you choose to substitute). This option excites me the most as I love frozen yogurt but hate how much sugar and other junk is typically in the stuff at the store. To make your own frozen yogurt, you only need yogurt and a few other ingredients. An ice cream maker is helpful, too. I highly recommend the Honey Lemon frozen yogurt here (it’s near the bottom of the page). Raw honey – This sweetens the yogurt up just a bit. We love raspberry honey. Jam – Use your homemade jam to sweeten and flavor the yogurt at the same time. Orange curd – The citrus with the yogurt is so good and makes for a very filling … filling. Fruit – Use whatever fresh or frozen fruit you prefer (thaw the frozen stuff first, of course). Or use any fruit you canned over the summer. I typically start with a cup of yogurt and mix in a tablespoon of whatever I’m combining it with. I mix and add more if it tastes like it needs it. Use yogurt for quick breads, muffins and scones for a moist, delicious treat. In my experience, if a recipe calls for milk, I can add a little less yogurt with no ill effects. However, if you want a specific recipe to try on, how about this one? After we make butter, we usually have a good amount of buttermilk left over to make pancakes with. However, sometimes we decide to use our cream to make whipped cream instead, so we don’t have that yummy buttermilk. But we still want pancakes. So instead, we use yogurt. Our recipe calls for 1 cup of buttermilk, so we use ⅔ cup yogurt and ⅓ cup milk. I had no idea you could make cheese with yogurt until my friend wrote a post about it. But you can use this rich, creamy cheese as a substitute for things like cream cheese, sour cream or even whipping cream. It’s really easy to make and you can find her tutorial here. I enjoy your work although I rarely have time to read all the articles that I file away to read “someday” and more rarely do I ever leave a comment. However, if it is yogurt being discussed, this one I love so much I have to share it. My favorite way to use homemade yogurt is with a clove of extremely fine chopped fresh garlic to about one cup or one and a half cups of yogurt and a pinch of salt. This is such a good topping and probably can be used for other things but in our house this was for eggplant slices fried in high grade olive oil. This is a Turkish dish my mother liked to serve at faculty luncheons. So, “salty/savory” yogurt is best for me. your shower capped hair with a towel and let it work for awhile before you shower and wash your hair. Makes my hair shine. When getting a salsa that’s a little too hot for my taste I find adding a little bit of yogurt in there cuts down on the heat and still allows me to enjoy my chips and dip. One of my favorite uses for yogurt is to add a ranch dressing seasoning packet and dip my favorite veggies! 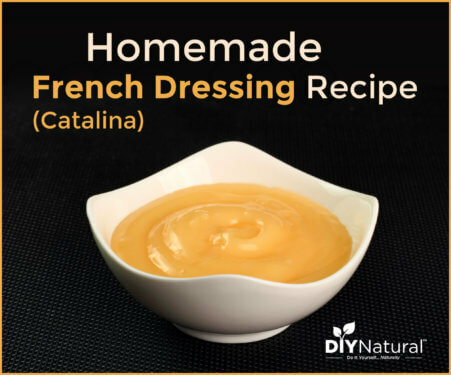 Its much healthier than the mayonnaise-based ranch dressings. 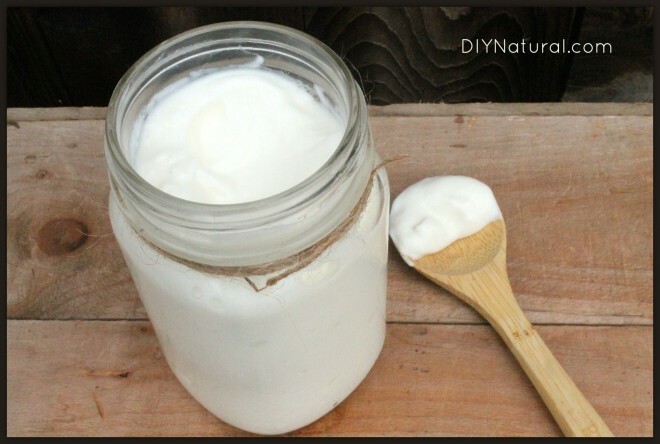 Greek yogurt also works very well with its firmer texture!